“Revolución Naranja” was created in Evertec in 2007 to protect the environment and educate employees about its importance. 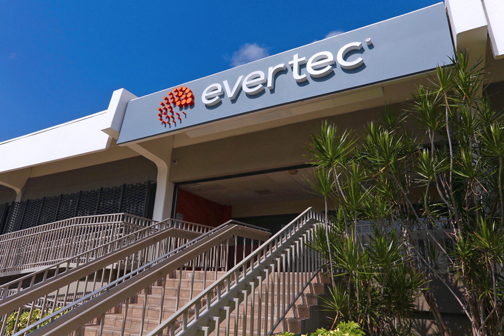 For the past 10 years, transaction processing company Evertec has made strides in helping to protect the environment through its “Revolución Naranja,” initiative that comprises a sweeping variety of initiatives, the company announced. The company has not only been able to carry out strategic alliances, established parking spaces for hybrid cars, held more than 70 educational activities, but also collected in 10 years, along with its employees, more than 3.9 million pounds of recycled material in its Recycling Drop-Off Center. “The protection of the environment is one of the three pillars of our corporate social responsibility program,” said Guillermo Rospigliosi, executive vice-president of Product, Marketing and Innovation at Evertec. “Revolución Naranja” was created in Evertec in 2007 to protect the environment and educate employees about its importance, he said. “After 10 years, we are excited to see its impact and achievements. Today, we have a solid program that has allowed us to create initiatives in our operations that reduce our environmental footprint and impact to the environment,” Rospigliosi said. For years Evertec has also been supporting environmental initiatives such as the International Cleaning of Coasts of Scuba Dogs Society and Earth Hour. Their alliances includes: Para La Naturaleza, Iron Mountain, and RE de Puerto Rico Corp, among others. “Revolución Naranja” received the award for excellence in environmental protection, special category of sustainability and environmental awareness of the Puerto Rico Manufacturers Association. Hey Buddy!, I found this information for you: "Evertec touts decade of environmental awareness". Here is the website link: https://newsismybusiness.com/evertec-environmental-awareness/. Thank you.